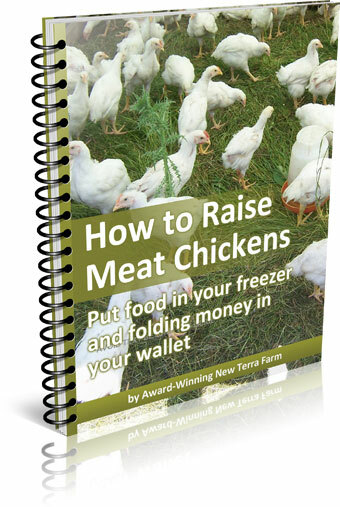 If you have a website or a blog you can make some extra cash with the New Terra Farm Affiliate program. The program is free to join: just promote my popular books about farming and market gardening topics, and 50% of each resulting sale is yours to keep. Once you are registered as an affiliate, you can get your unique affiliate link. The affiliate link will be used by your website or blog visitors to purchase my books through e-junkie. That affiliate link, unique to your site, tracks that the sales came through you, and we split the proceeds 50/50! There's nothing else for you to do; e-junkie takes care of delivering the books to your customers, and Paypal processes the payments. You just promote the books, and receive 50% of each sale. My affiliate program is supervised by e-junkie, and they track sales and keep everything on the up and up. Once a month I get a file from them with all sales by affiliates, and I forward your share to you through PayPal, around the middle of the month following (to allow time for returns, etc). The e-junkie program sets a cookie in the buyer's browser valid for 6 months; so if they come back to my site and buy anytime in that period you get credit for the sale. If you are want to learn more about how to build a profitable business as an affiliate, start where I did - with the Free Affiliate Masters Course. You can promote my books through your website, or blog of e-mail distribution list - no spamming, your list must be valid double opt-in readers who have agreed to receive information from you. 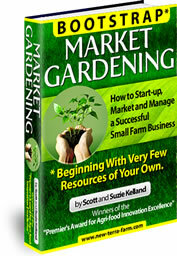 You could do a review of my books, explaining what you found in them that would be of value to the new farmer or market gardener. You don't have to follow the format of the review, just note that it gives basic information and identifies the main features and benefits of SBI!, and identifies in particular why it appealed to me personally. This is the kind of pre-selling that is necessary to drive affiliate sales. Write about your personal experience with the product; needless to say you should actually own and use the product you are recommending, if you want to be convincing. 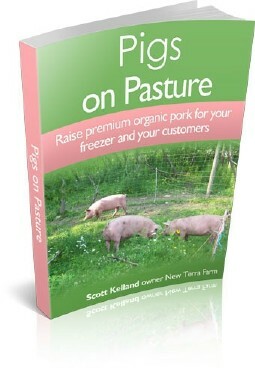 You can use any of the graphics below to promote my farming and gardening books. You can also use any text from the book sales pages. To save a copy of the book images, just right-click on the image and use 'save image as' to save a copy to your hard drive. Left-click on the book images to go to the sales page for that book. Free Promotional Reports. 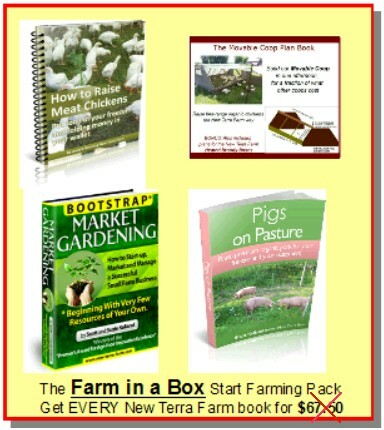 I have two free reports that I distribute from my website - "The Organic Market Gardening Start-up Guide", and "The One-Acre Farm Plan". Each of these free guides promotes my books. Once you have registered as an affiliate, I can create a custom version of these reports, with your affiliate link embedded. You can then distribute the reports from your website or blog, and all subsequent sales will be credited to you. You can use the contact form below to contact me with questions or for help with any of the above.